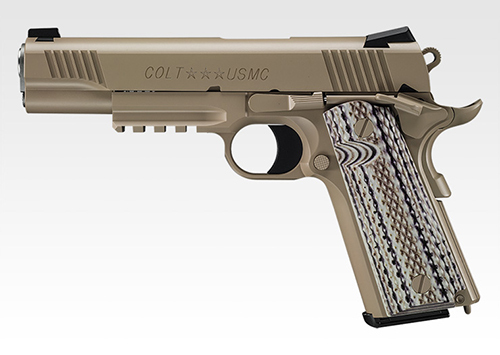 In the beginning of 2000, the US Marine Corps adopted a new hand gun that replaces the MEU pistol. 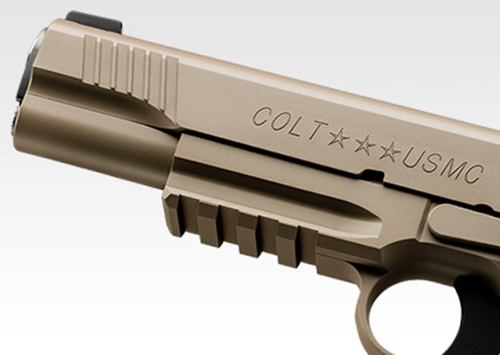 That is the Colt Company's 'M45A1 CQB Pistol. 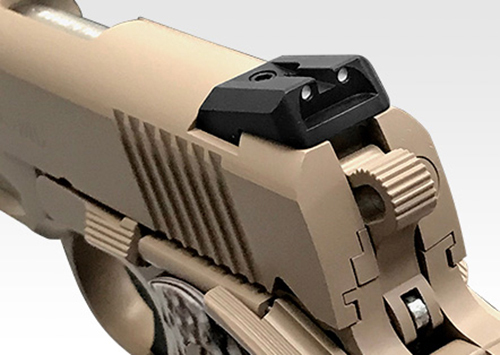 Each part is machined with custom guns pursuing accuracy of hitting, a new rail integrated frame and a characteristic laminated grip of G10 material, and a wider spaced serration for the slide. 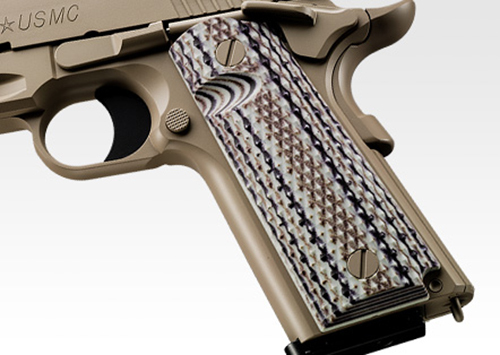 Moreover, it is a model suitable as a successor of the MEU pistol, such as finishing the majority of exterior with tan color. 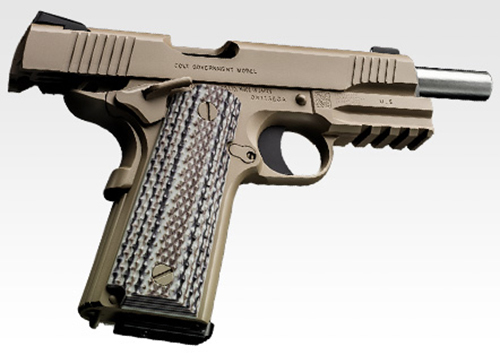 In the gas blowback 'M45A1 CQB pistol, Tokyo Marui improved some parts of the pistol to make the overall shooting experience for the player much better such as the gas blow back system/recoil shock and the overall operation stability. Tan color assuming battle in the desert area such as the Middle East is adopted for each part including slide and frame. The color schemed is reproduced just like the real one. The parting line has been carefully polished by hand and finished in a beautiful curved surface. Novak's official approval die-cast rear site: You can experience the high practicality of the Novak site, which is said to be the treasure of the tactical site. Metal parts on the inside of slide catch the burden when sliding open, prevent slide stop and notch part from being scraped or damaged. 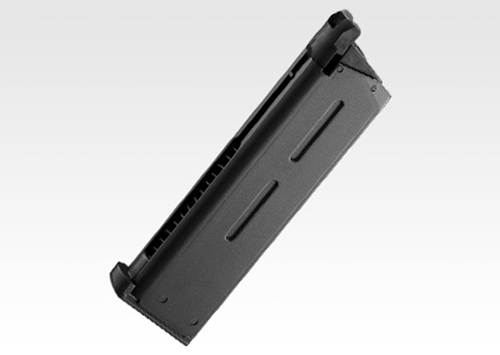 Metal 27 rounds Loading capacity and a thin die-cast magazine that is resistant to cold is attached. Improvement of recoil shock with gas consumption equivalent to conventional governance model by improvement of blow back engine. In addition, by adopting the new type short recoil system, the stability of operation is improved.